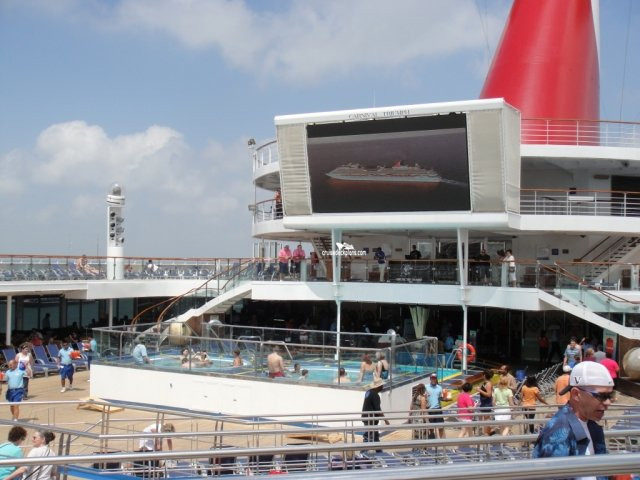 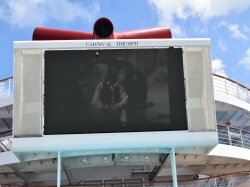 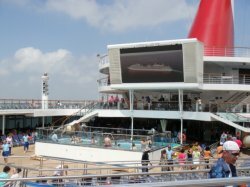 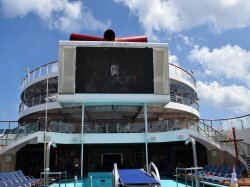 A large outdoor screen showing movies, concerts and sporting events. 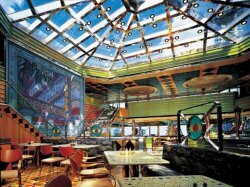 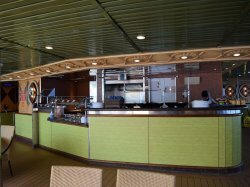 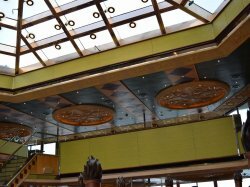 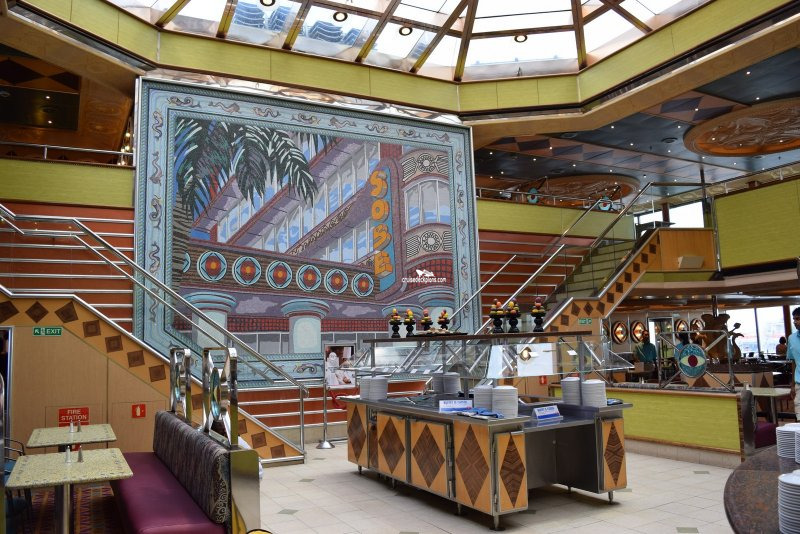 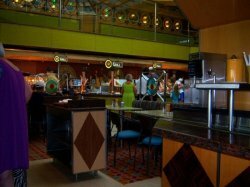 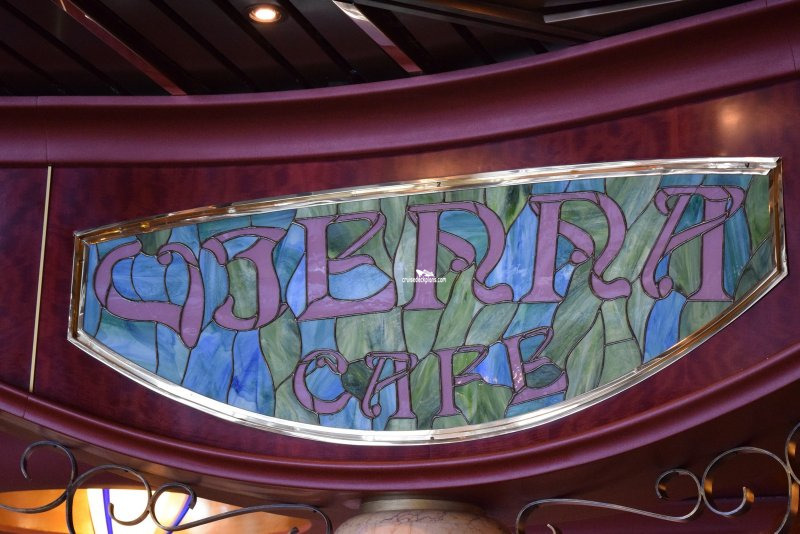 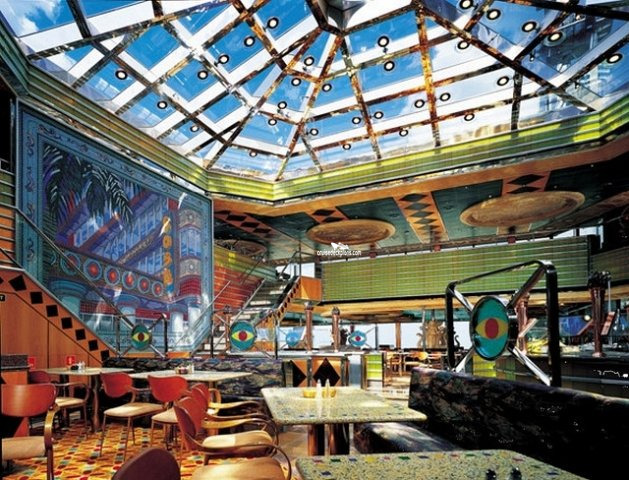 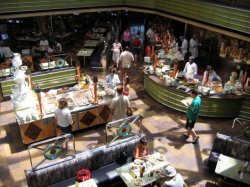 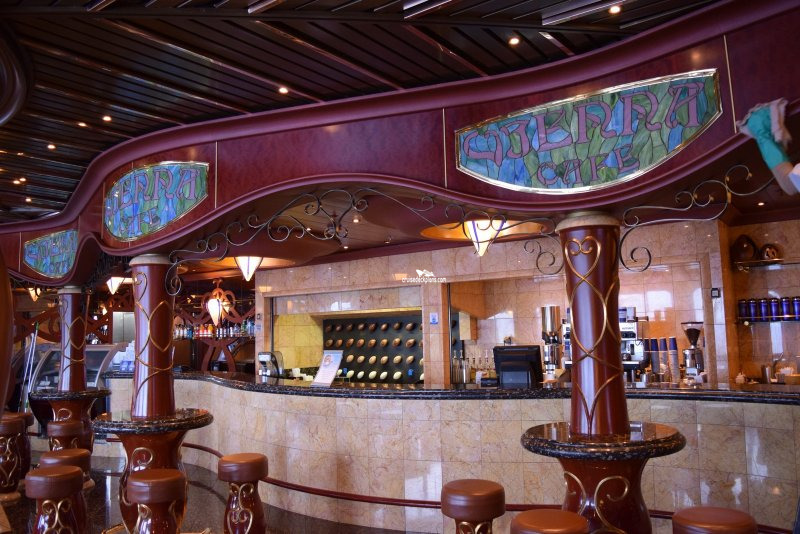 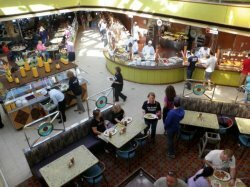 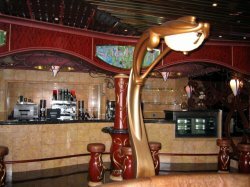 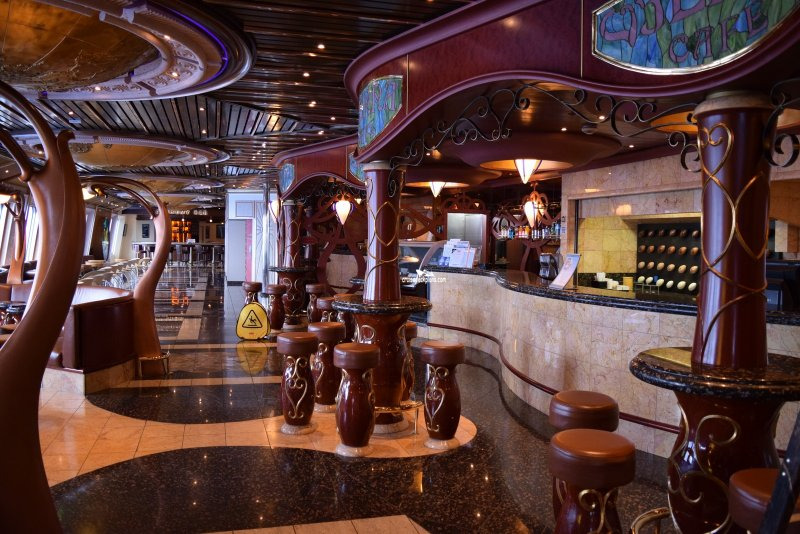 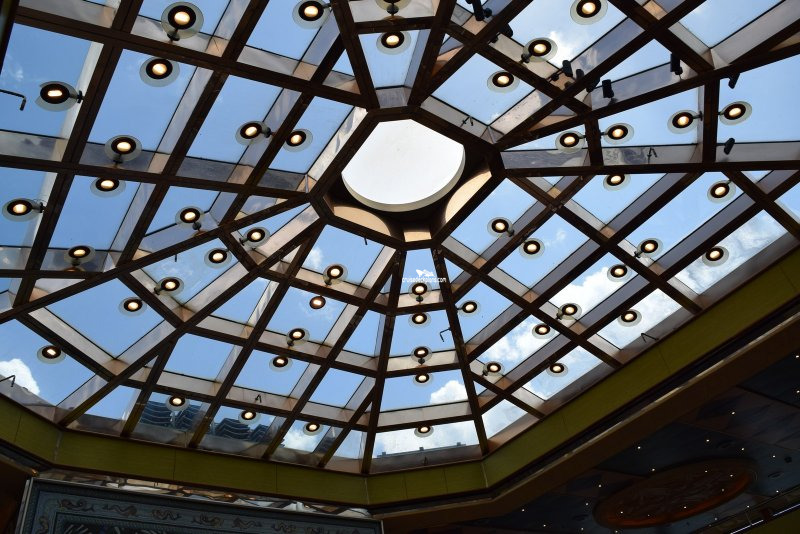 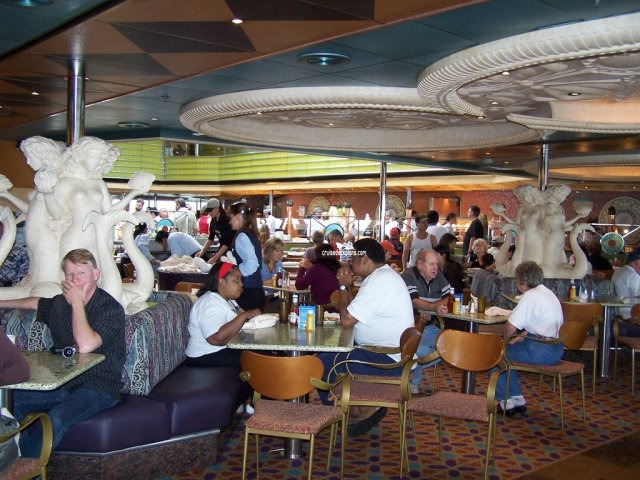 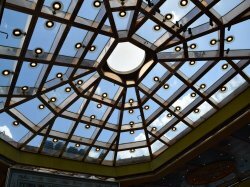 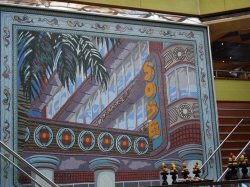 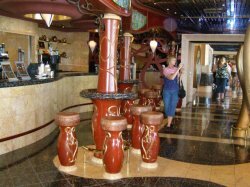 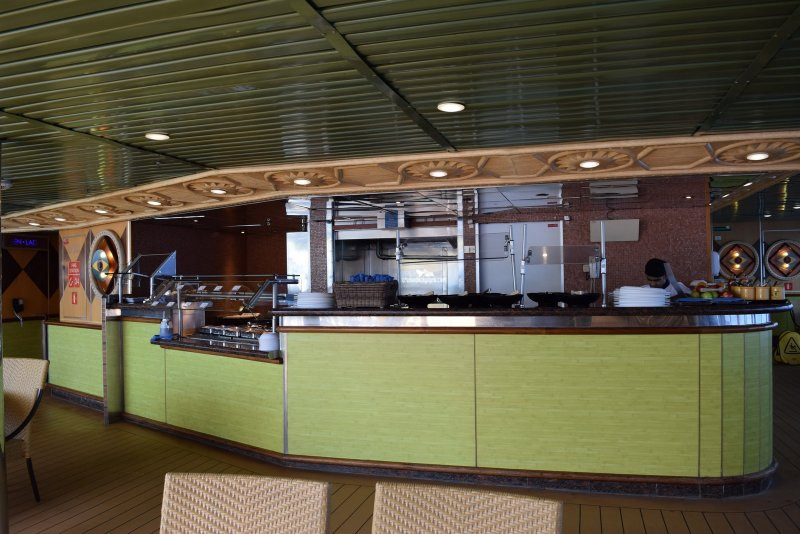 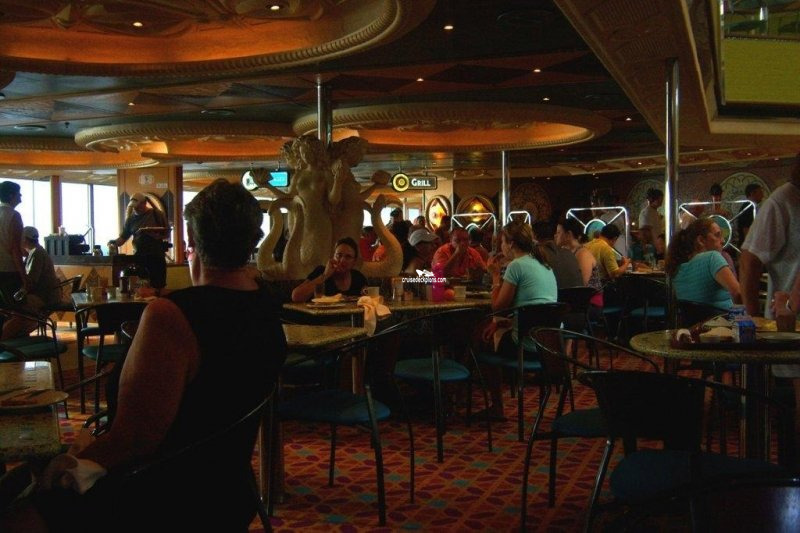 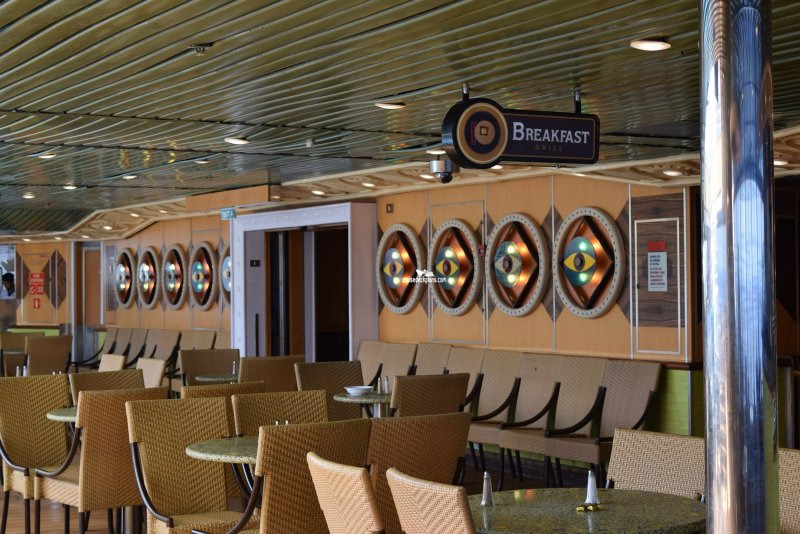 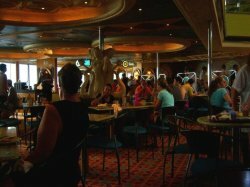 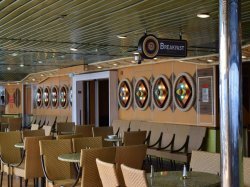 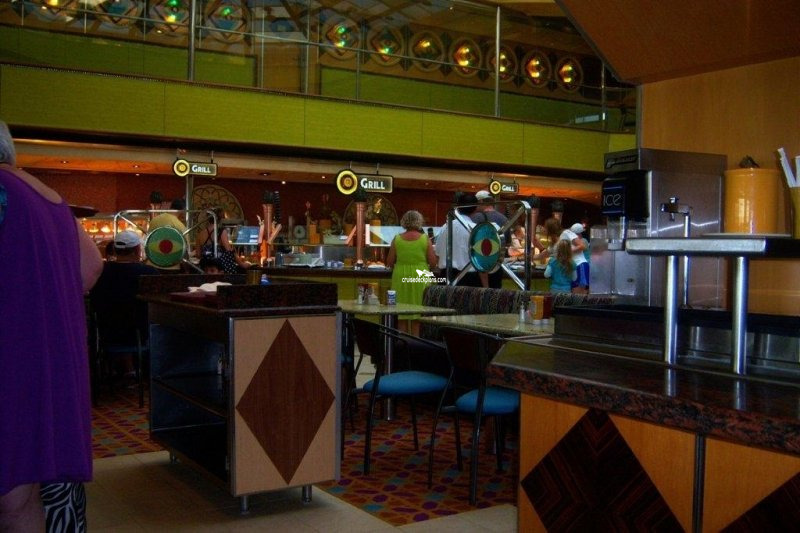 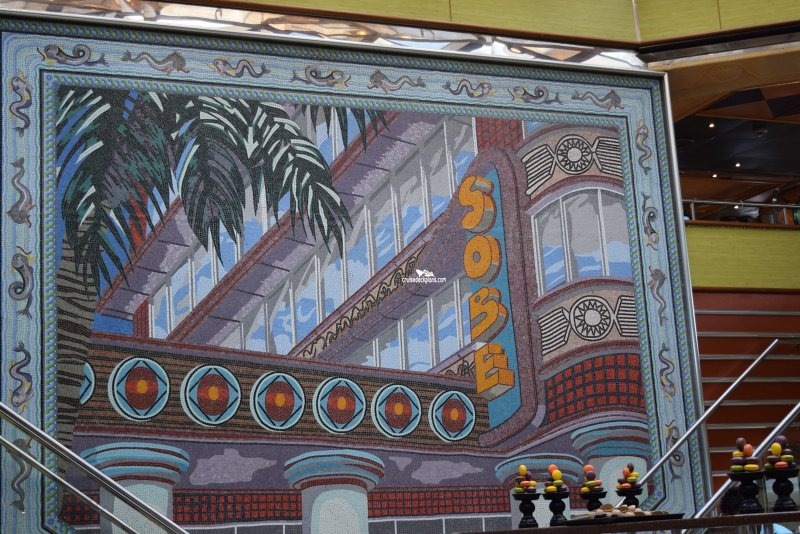 The ship's casual international food court, accommodating 1252 passengers. 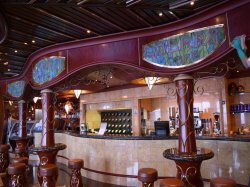 An extra charge patisserie with a seating capacity of 50, serving specialty coffees, tea, milkshakes, cakes and pastries. 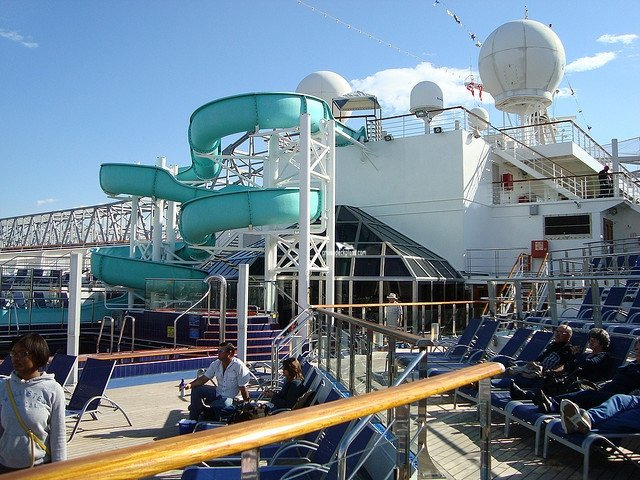 Deck above main pool area with places to walk and lounge. 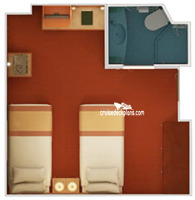 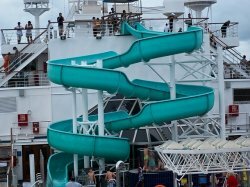 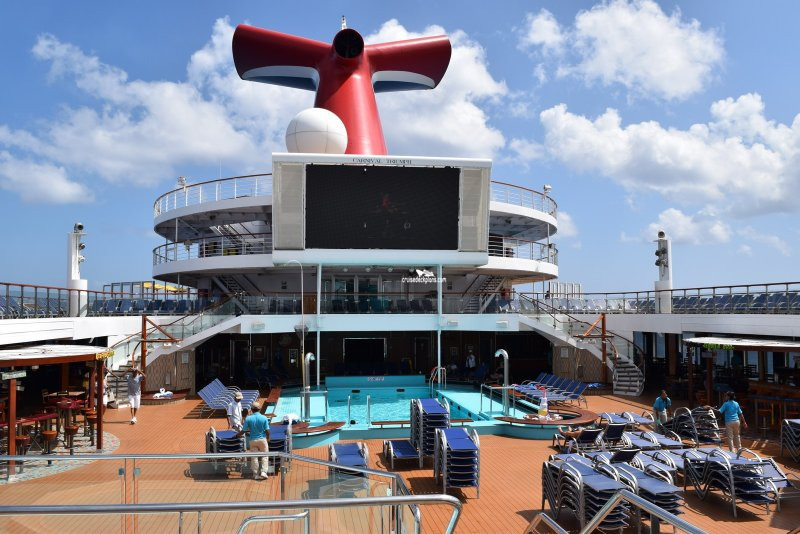 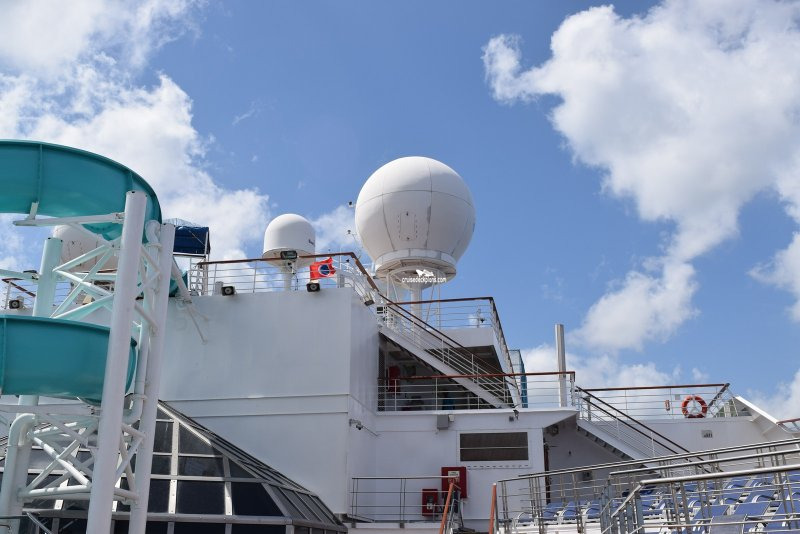 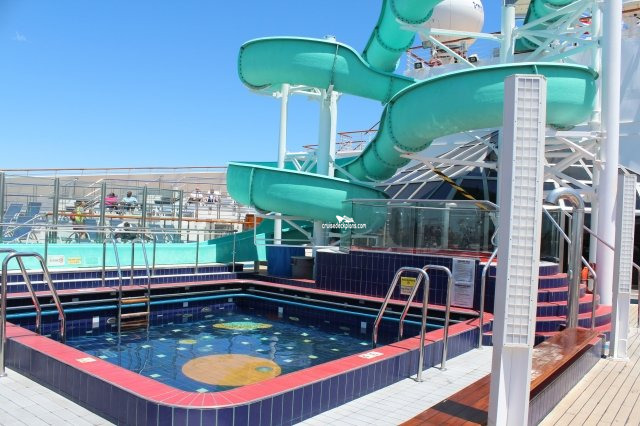 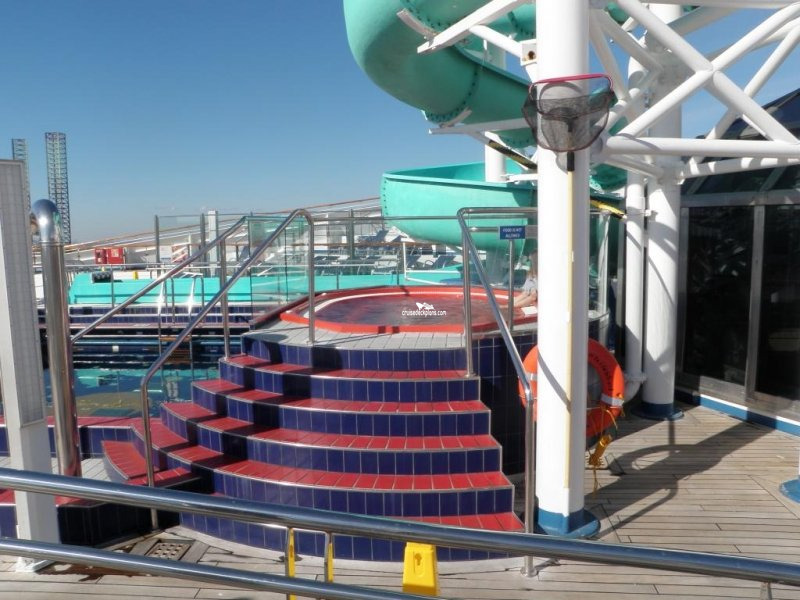 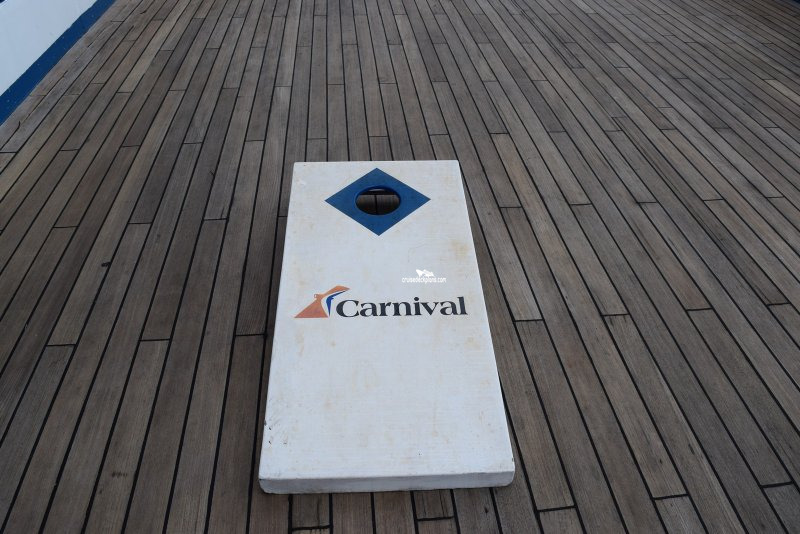 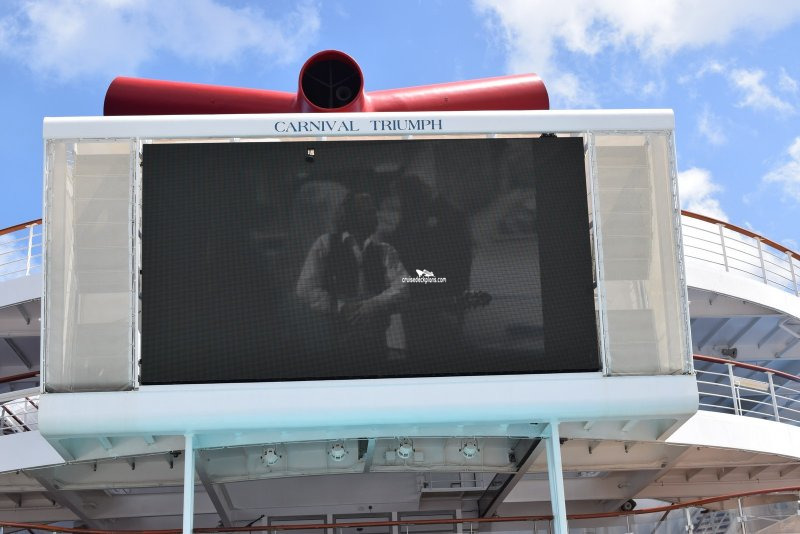 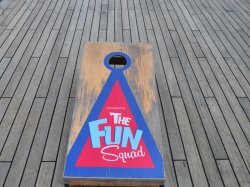 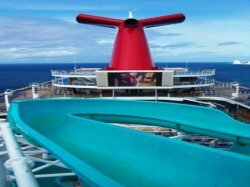 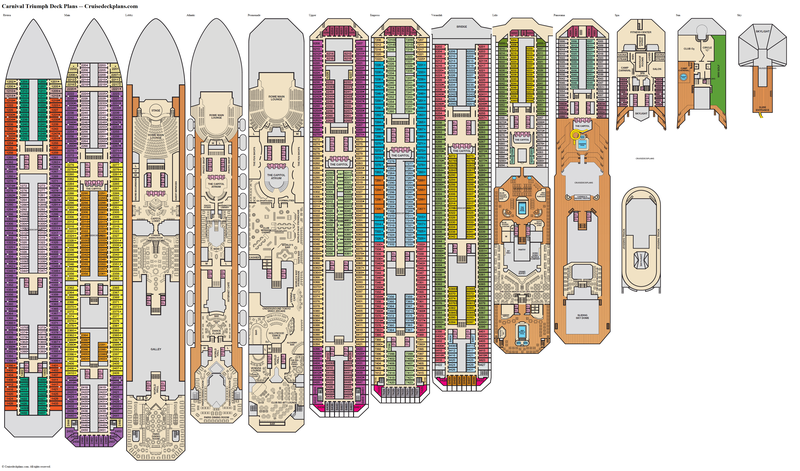 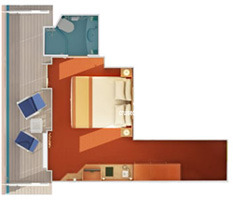 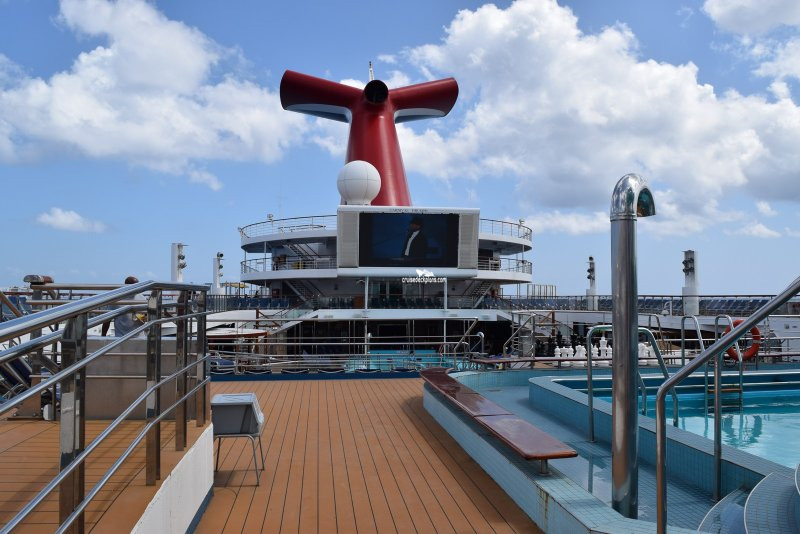 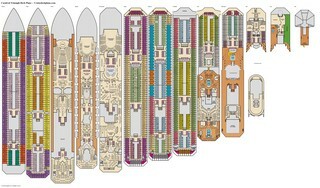 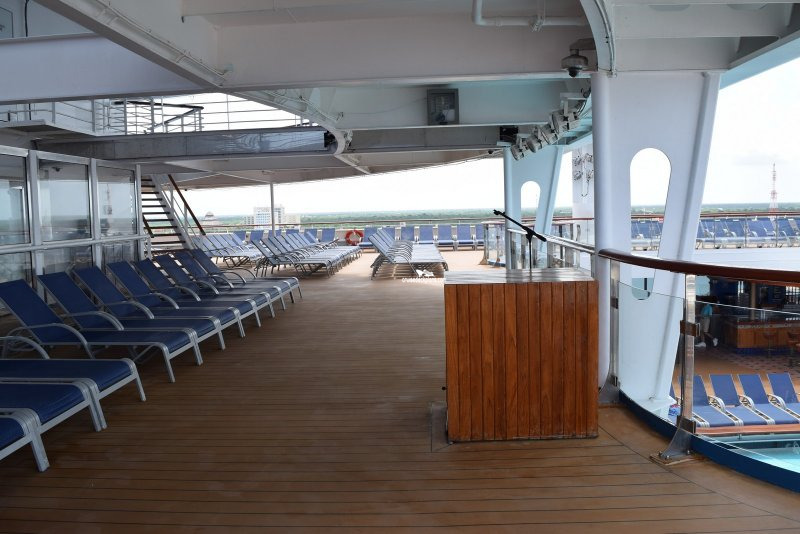 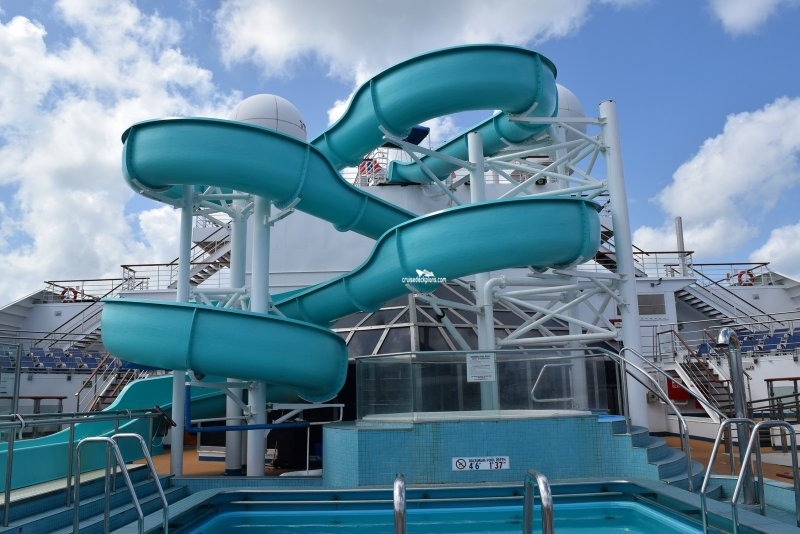 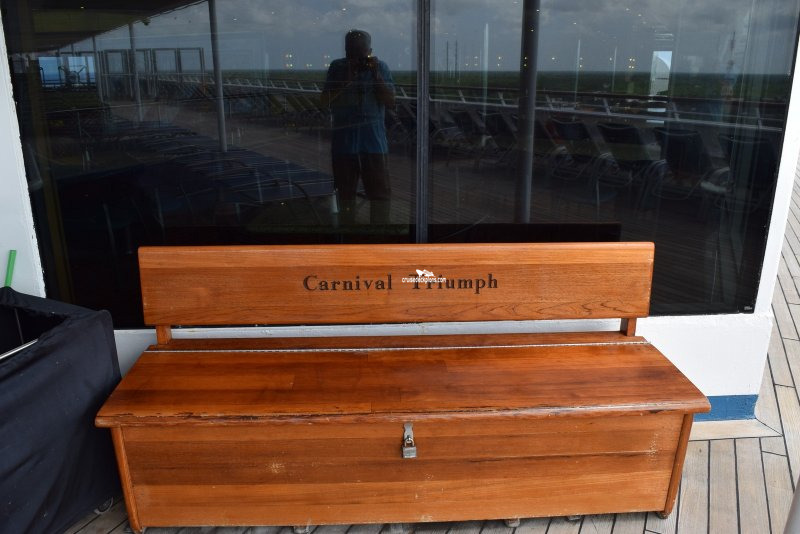 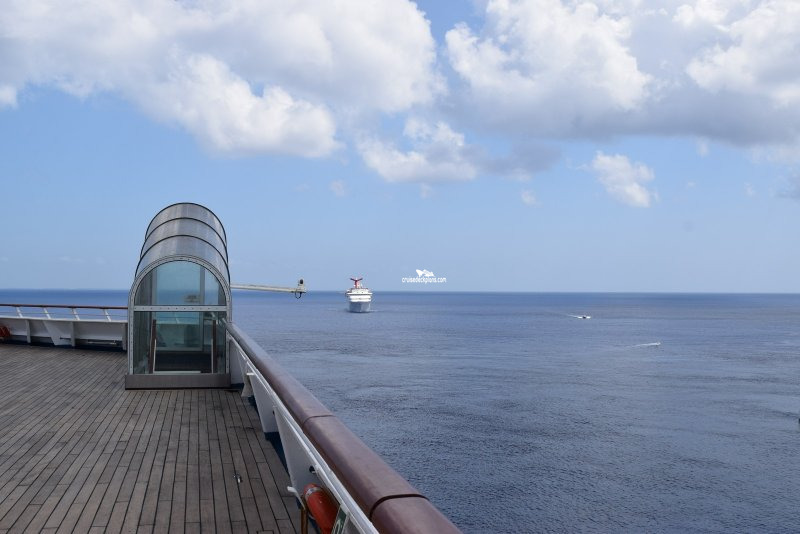 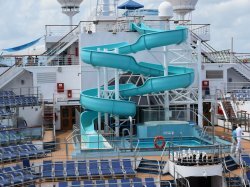 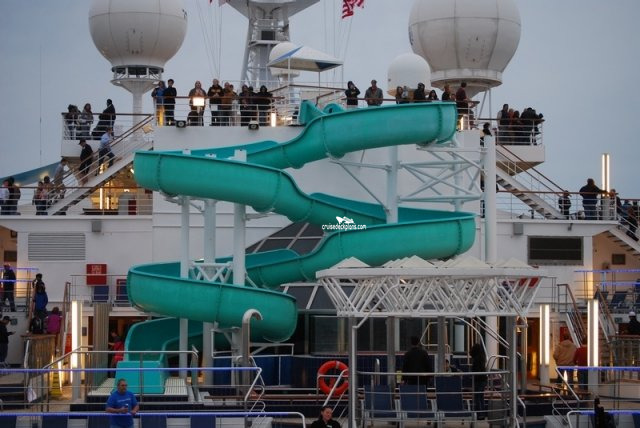 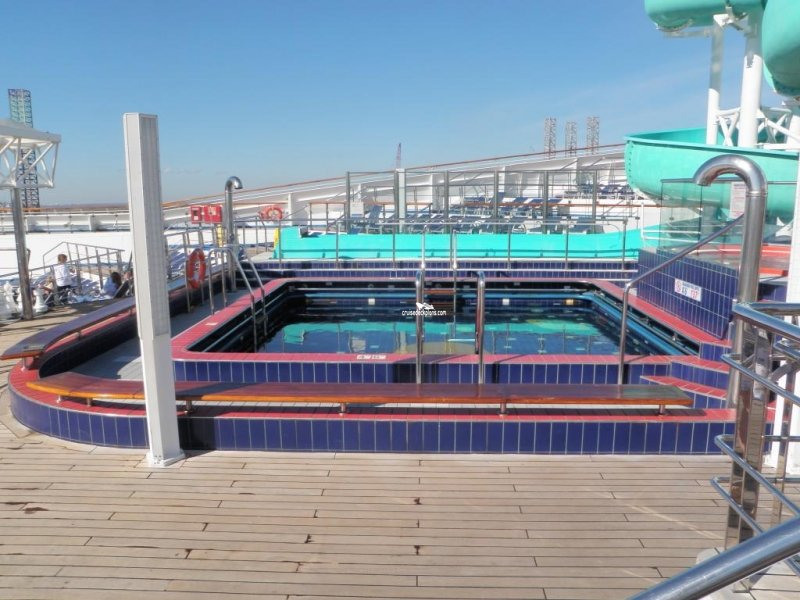 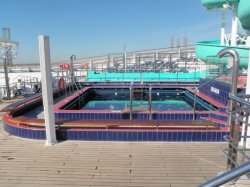 * Cabins 1022 and foward on the port side and 1023 and forward on the starboard side are below the fitness center on the deck above and therefore may experience noise from that area. 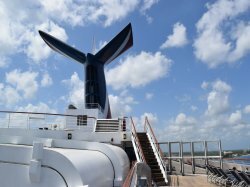 * There is a deck above the bridge that passengers sometimes walk out on. 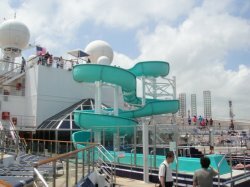 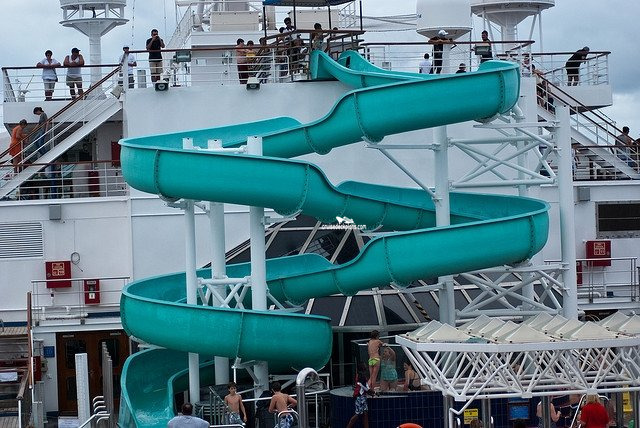 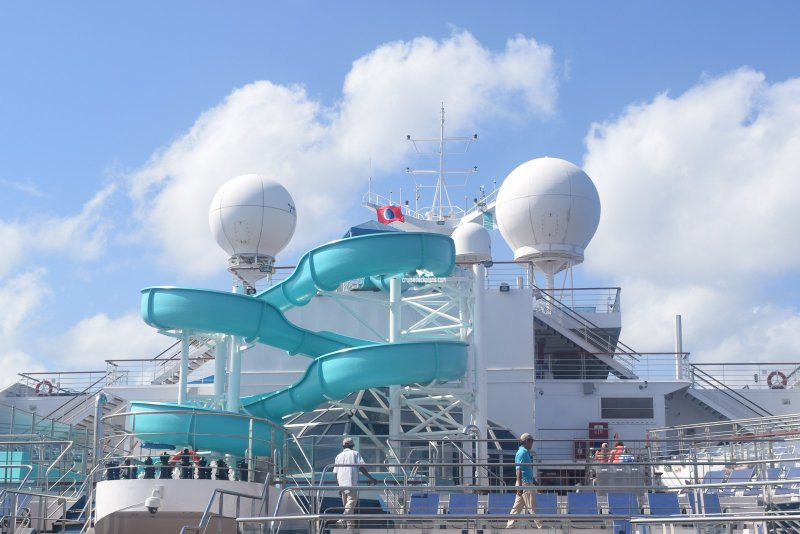 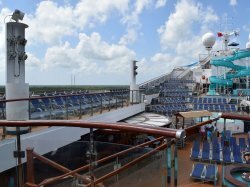 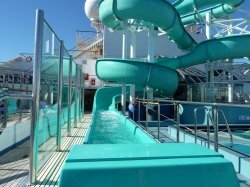 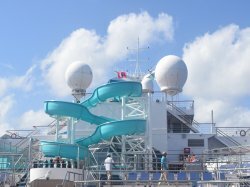 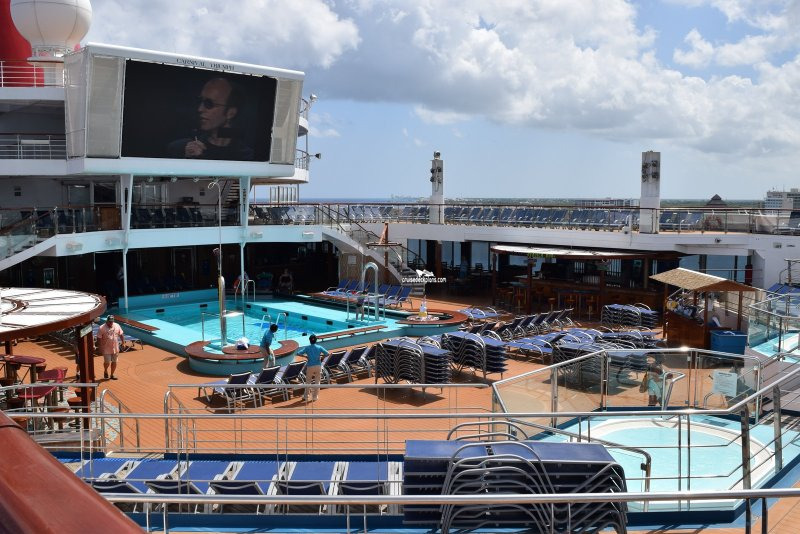 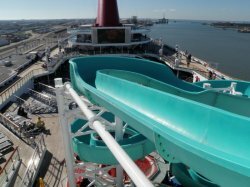 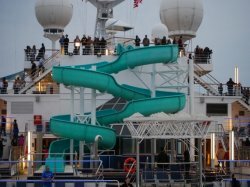 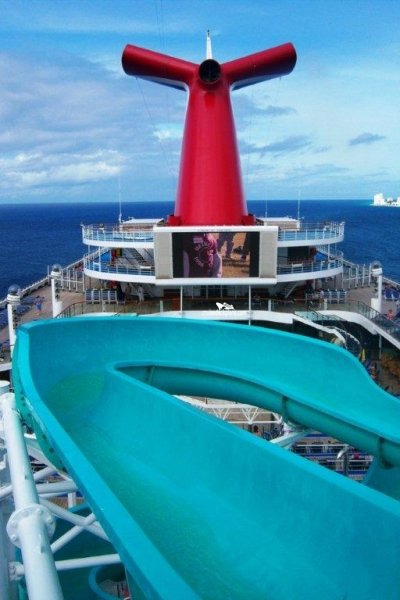 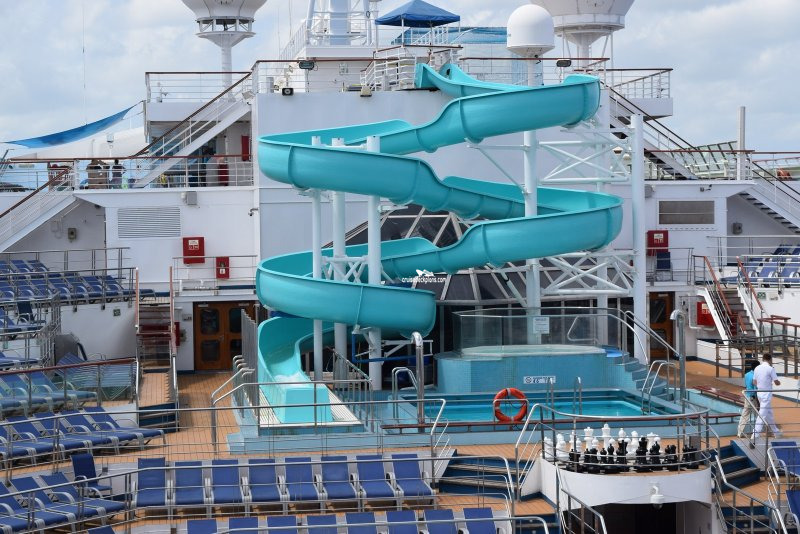 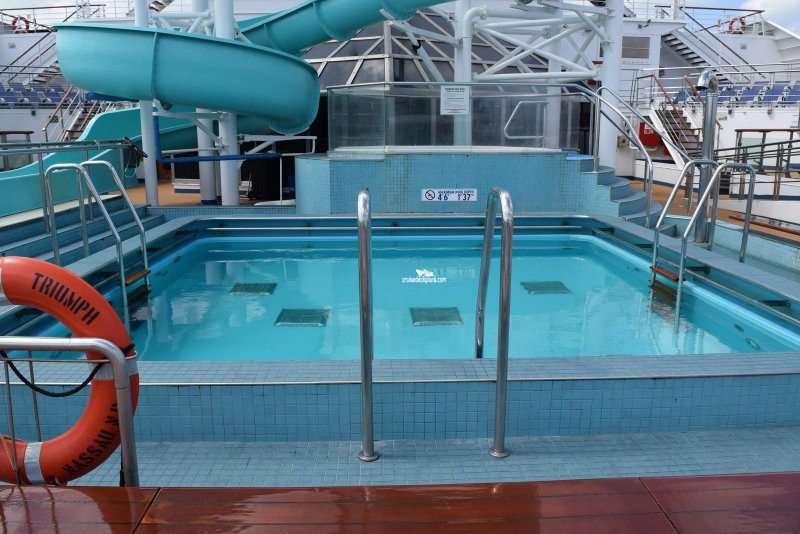 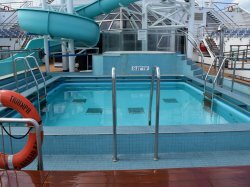 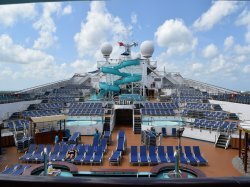 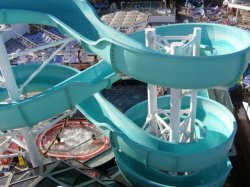 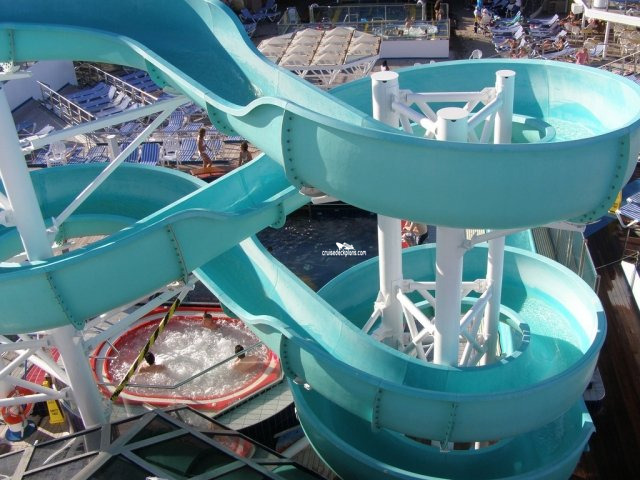 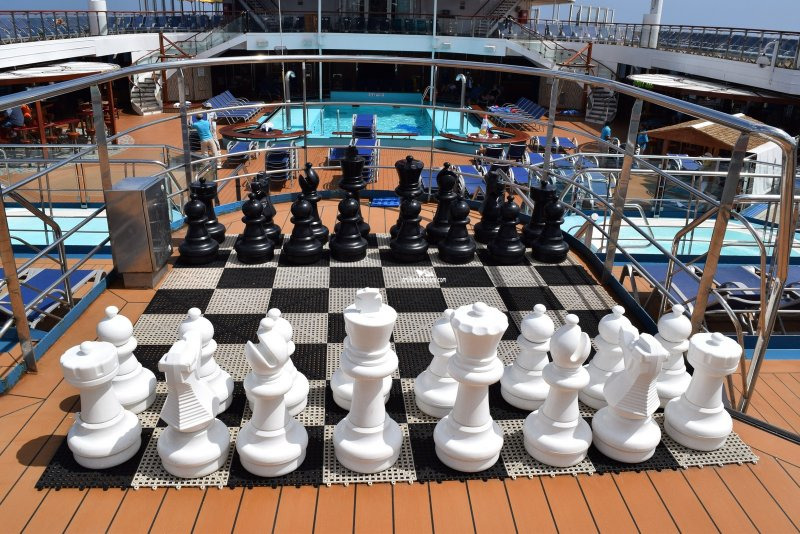 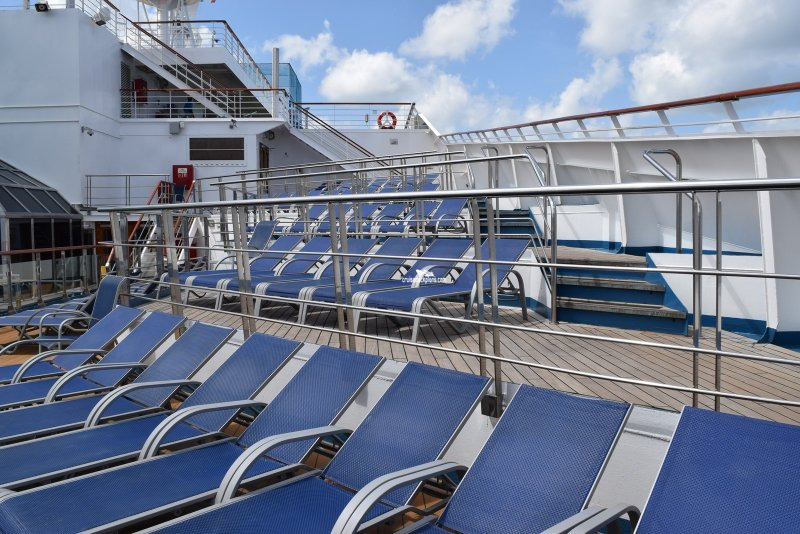 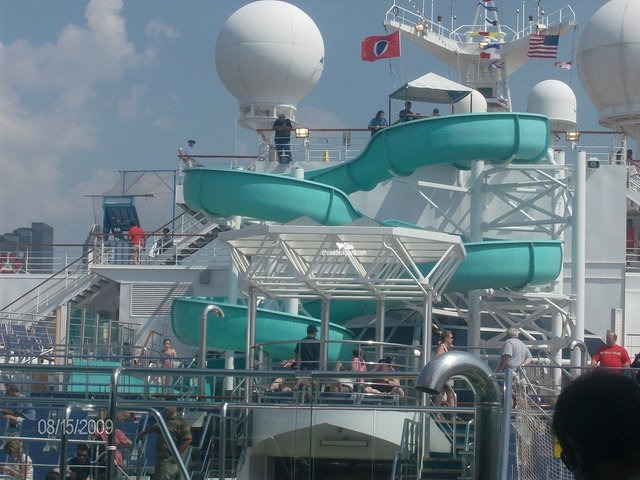 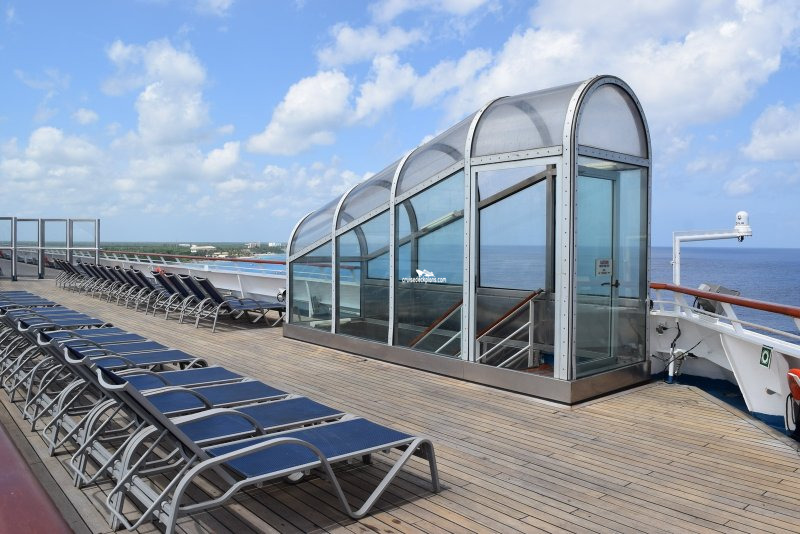 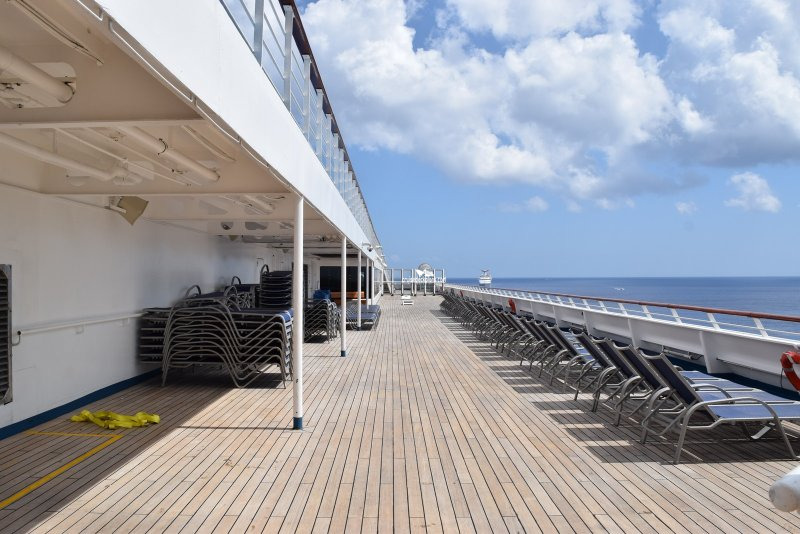 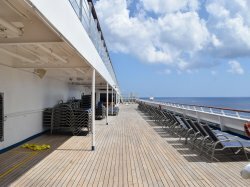 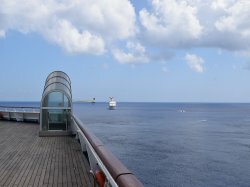 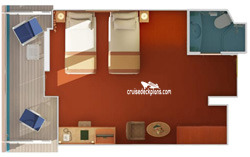 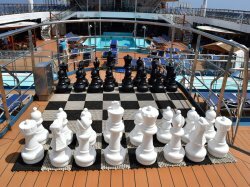 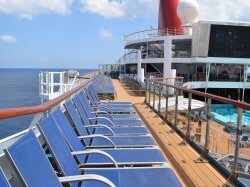 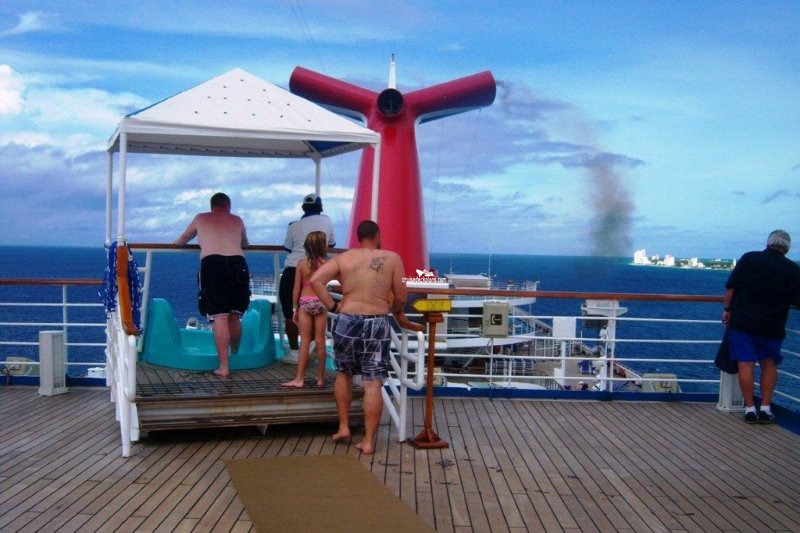 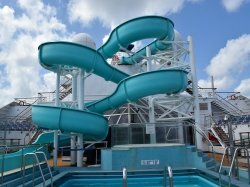 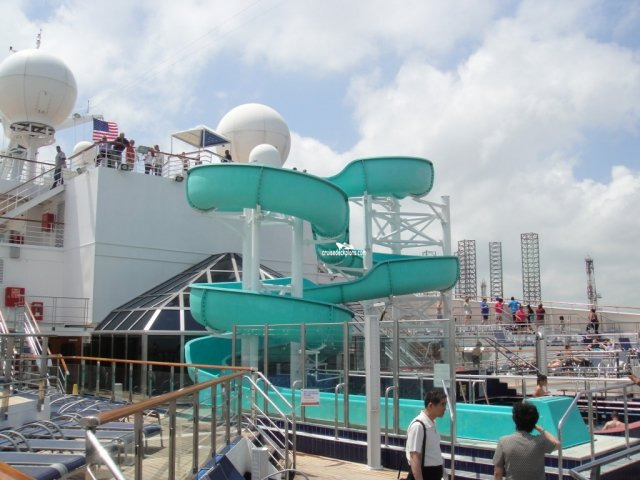 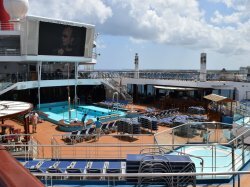 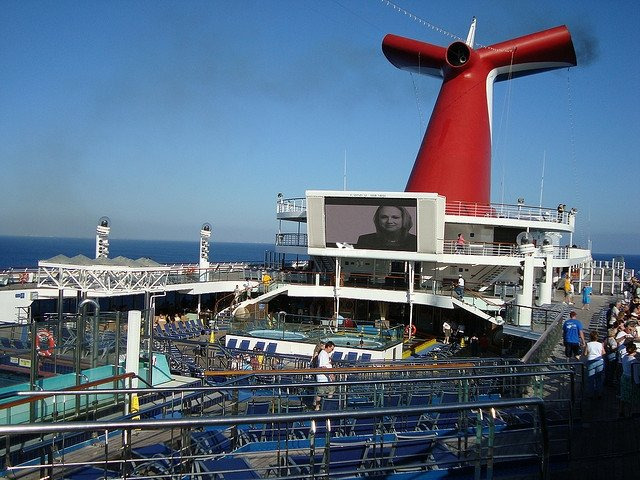 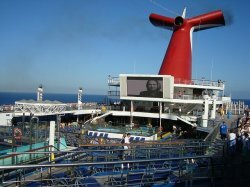 They are able to view the first few balconies on each side of the ship from that deck.